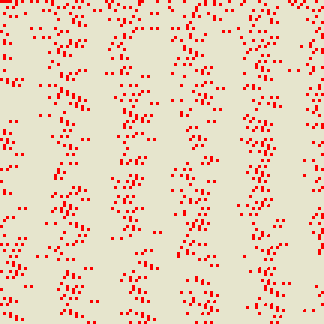 A plot of the Ulam numbers up to 1082, arranged line by line in a square 108×108. The plot evidentiates the peaks in their density that occur with a frequency roughly equal to 108/5=21.6. The Ulam sequence is defined by , and, for , is the smallest integer that can be written in exactly one way as with . The members of the Ulam sequence are called Ulam numbers. For example, after the first 4 terms which are trivially 1, 2, 3 and 4, the value of cannot be 5, since but it is 6, which can be obtained only as (not as because the terms added must be distinct). The sequence is infinite because is always a viable candidate for . 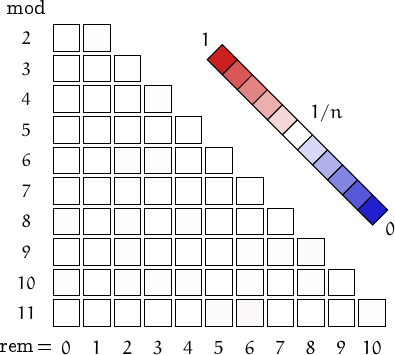 Ulam numbers are not distributed uniformly, but their density has peaks at an average distance of 21.6 (see picture above). 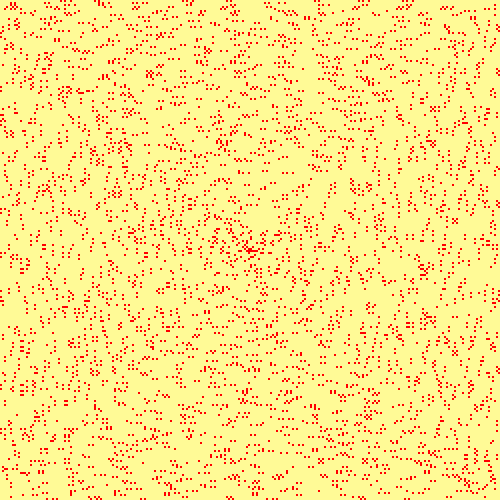 Below, the spiral pattern of Ulam numbers up to . See the page on prime numbers for an explanation and links to similar pictures. 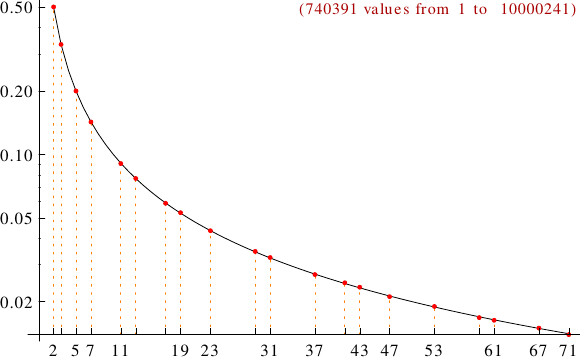 A graph displaying how many Ulam numbers are multiples of the primes p from 2 to 71. In black the ideal line 1/p.